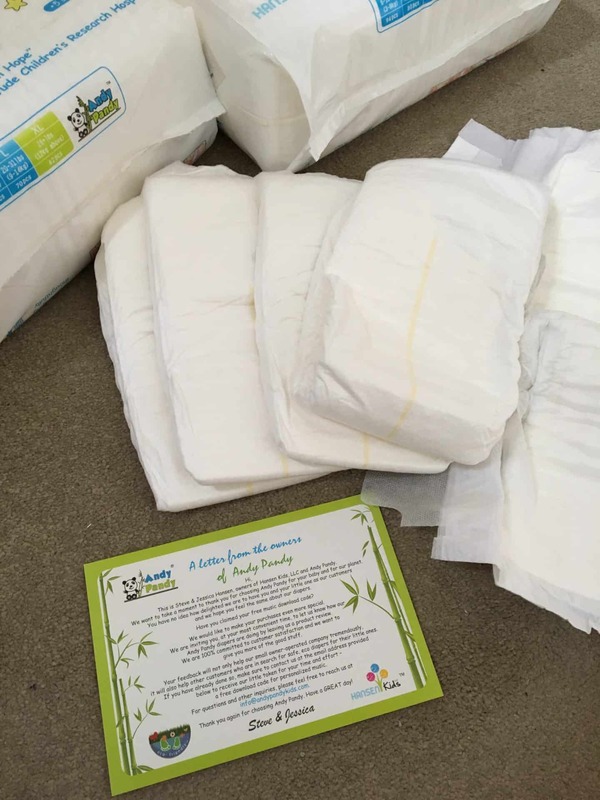 As you know I’m always up for trying out new products and this past weekend we have been trying out these great bamboo disposable nappies, (or diapers if you prefer!) from a wonderful little family orientated company called Andy Pandy based in the US. 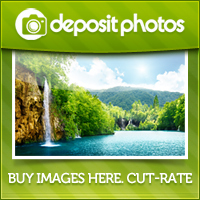 They specialise in eco-friendly baby products. They are on sale in the UK at the moment so accessible to everyone. Made from Bamboo, a renewable and sustainable source. Bamboo is very soft and silky to the touch. Naturally hypoallergenic and antibacterial making it ideal for babies with sensitive skin. Moisture wicking and thermal regulating capabilities that keep your baby’s skin dry and comfortable in hot or cold temperatures. 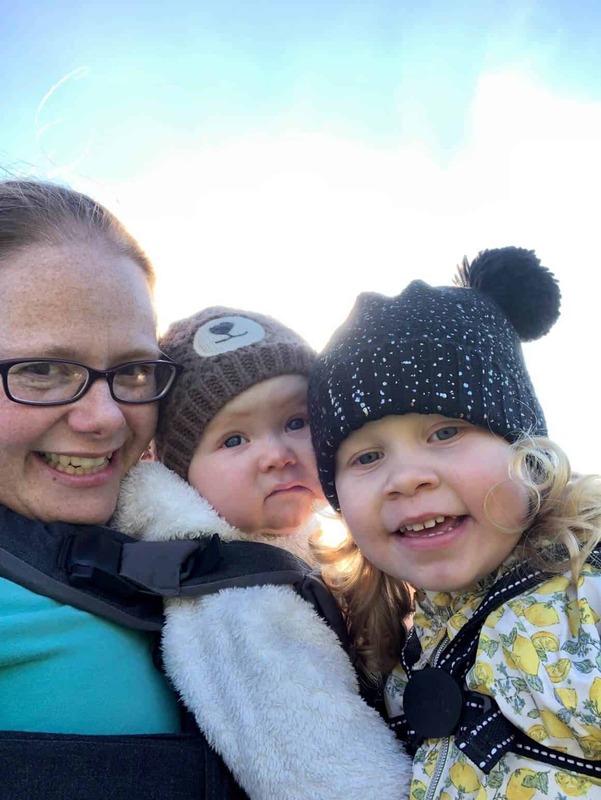 Natural aloe liner to nourish your baby’s skin and a wetness indicator that lets you know when baby needs to be changed – I’ve missed this on the larger size nappies that we normally use! Does not contain Chlorine. No Alcohol or Preservatives. No Phthalates. No Latex, PVC, TBT, or Antioxidants. Flexible side panels which are needed for very active babies like baby girl! XL 26 lbs + – These are the ones that we got sent to try out with baby girl. My first impression was that I was fairly surprised at how heavy the XL pack of nappies was, is this a sign of high quality? We delved in and opened the pack to find out! Opening up the first nappy I pulled out of the pack I was happy that there was no smell to the nappy at all, this shows that no chemicals are used. The bamboo makes the nappy extremely soft and giving you that silky feel to the touch. The side sticker tabs are good, held on for a few hours while we out and the nappy did get quite puffy but it locked in all the moisture which is fantastic. I did find that after a short time the yellow indicator did change colour, but now that baby girl is older I don’t change her nappy quite as regular, especially at night when she will practically sleep through the whole night. The indicator is very useful for newborns and making sure you protect that delicate skin. 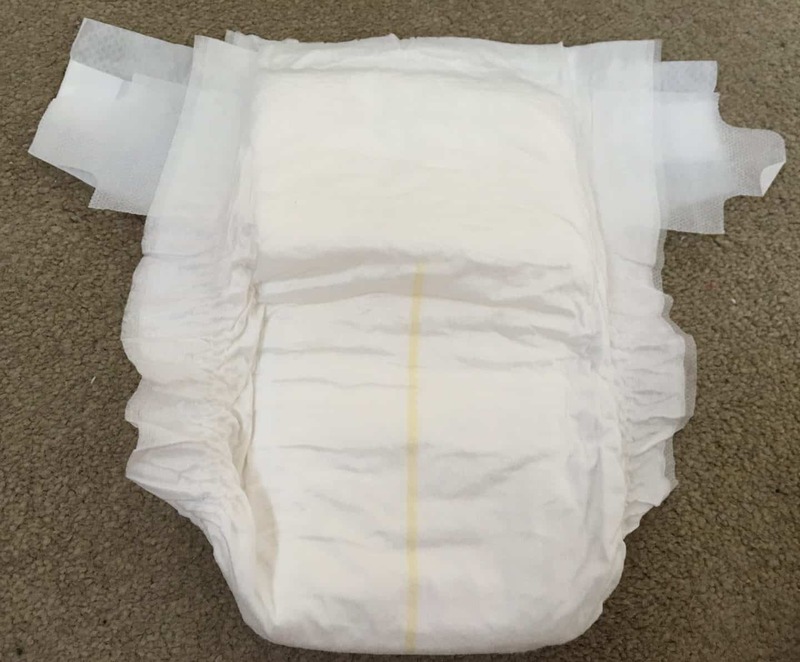 I think the nappies are a tad on the small size for the size range and I would like to see a fun picture or pattern on the nappies, they do look fairly clinical being plain white. As we are nearing the end of our nappy journey I wish I found these excellent nappies sooner! When baby no.2 comes along I will be definitely using silky soft bamboo nappies. I honestly can’t express how wonderful they are. 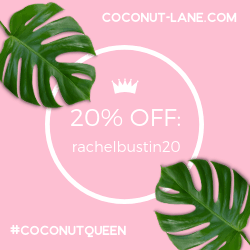 Worth every penny and more, plus you will be doing your bit for the environment! 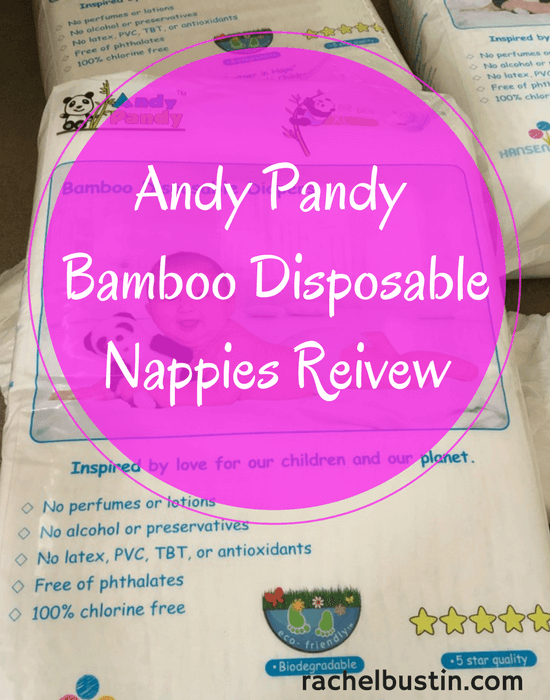 I’m giving Andy Pandy Bamboo Disposable Nappies 4.5 out of 5. Never used before, but I have one month old twin grandsons so would love to win this prize for them. I’ve not used these before but I love that they are better for the environment because regular nappies are terrible in landfill! I have not tried Bamboo nappies before. I like that they are not full of chemicals and more natural then other famous brands. I like using natural products so would like to try them on my baby. Never tried these but one of my twins has a very sensitive bum so would be good to try! I’ve never tried them but I love that they’re environmentally friendly. We haven’t tried them yet, I’m intrigued to feel how soft they are. I’ve not used bamboo before but love that they’re chemical free. I was planning to use reusable nappied with my baby due in October but these would be great for using out of the house whilst still being environmentally friendly. I haven’t tried them yet but I love how absorbent they look. I haven’t tried them, but only because my little one isn’t born yet! 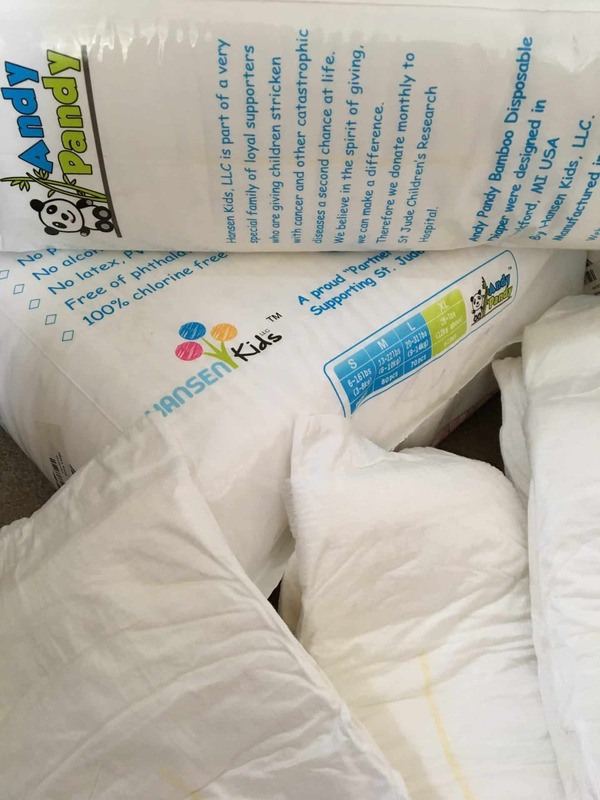 I have heard lots of good things about bamboo nappies, though, and it is what I am leaning to for when my daughter is born. No, haven’t tried them but bamboo is economically and environmentally better than cotton so I am pleased to see it being more widely used. I have never heard of bamboo nappies. I know bamboo is very soft and would be interested to try them. Never tried them before but I like that they are naturally hypoallergenic and antibacterial and the colour change tab is really useful. We’ve not tried bamboo nappies before, I like the strip that helps to tell you what’s happening inside the nappy. We’ve not tried Bamboo. I’ll look out for them. My nephew likes to go when he comes here.